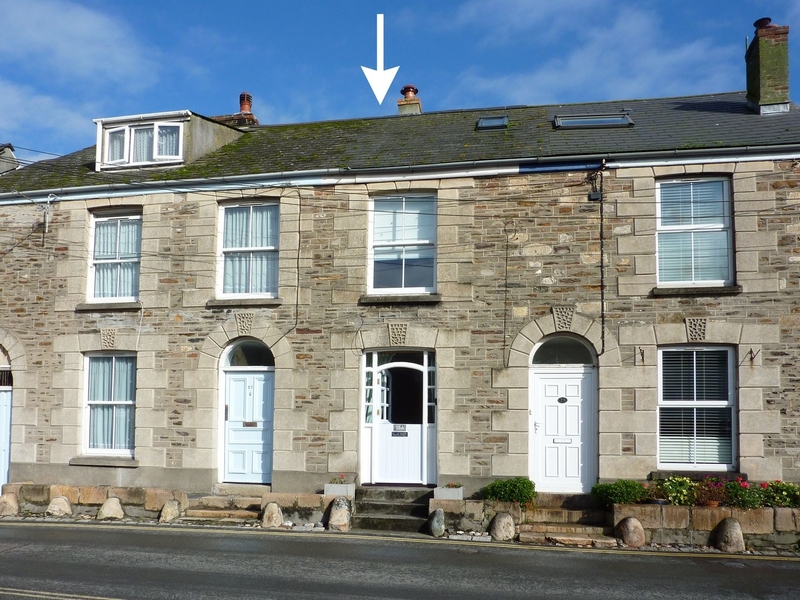 25a Church Street is a charming terraced cottage on three levels right in the heart of Mevagissey, close to the harbour, shops and restaurants. It sleeps 5 in three bedrooms - two doubles and a single, with a shower-room. Living-dining room and kitchen and small courtyard. A delightful cottage in a beautiful traditional fishing village and an excellent location for exploring Cornwall, not forgetting the nearby Gardens of Heligan or the Eden Project. Night storage heating with open fire and 1 additional electric heater. Microwave, fridge, washing machine, dishwasher, radio, TV with WiFi and 1 hair dryer. Fuel and power inc. in rent. Bed linen and towels inc. in rent. Cot and highchair available. Parking is available in a public car park nearby. Enclosed courtyard garden. One well-behaved dog welcome, Sorry no smoking. Pub less than 1 mile from property. Note: Parking for this property in in a public car park 80 yards away. Short term parking (paymeter) in front of house for loading/unloading. A car permit is provided upon request from the owner. Note: Best for maximum of 4 adults.